Ill. Hort. viii. (1861) Misc. 61. Growing habit at Zapotitlan De Las Salinas, Puebla. 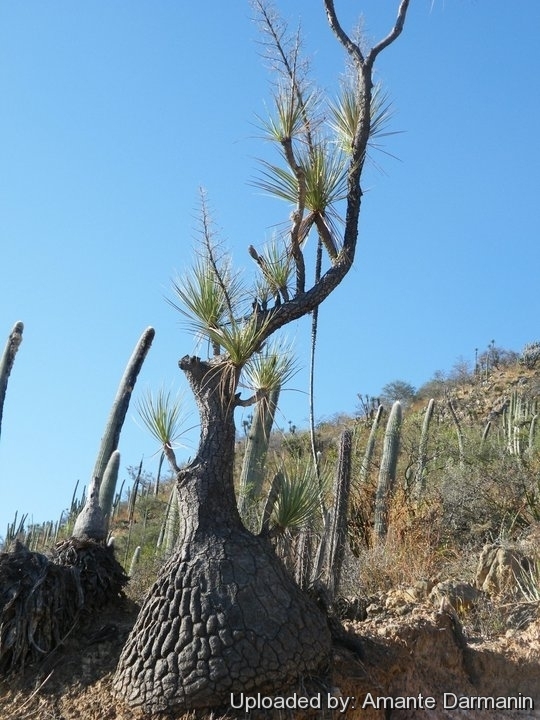 Origin and Habitat: Beaucarnea gracilis is an endemic species of the semiarid Tehuacan Valley, Puebla, Oaxaca, Mexico. 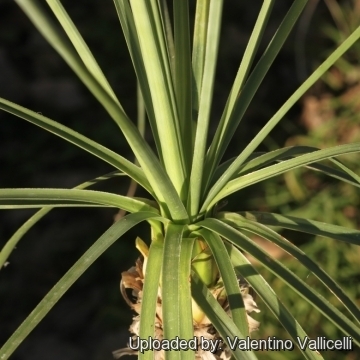 Nolina gracilis (Lem.) Cif. & Giacom. 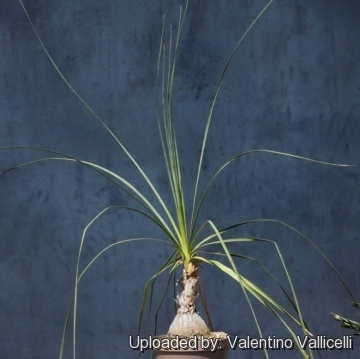 Pincenectitia gracilis hort. ex Lem. Beaucarnea gracilis f. variegata hort. 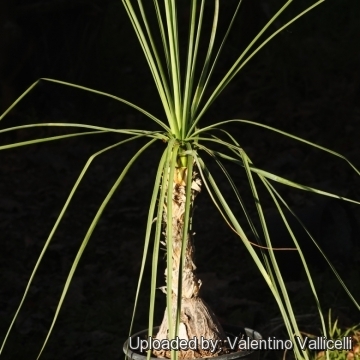 Nolina gracilis f. variegata hort. Flowers: Radially symmetric, numerous, very small, in a wide terminal panicle. Each flower shortly stalked and slightly fragrant. The species is dioecious (there are male and female plants), flowers every year. Fruits: Long-pedicellate 3-winged capsules, about 9 x 9 mm broad. 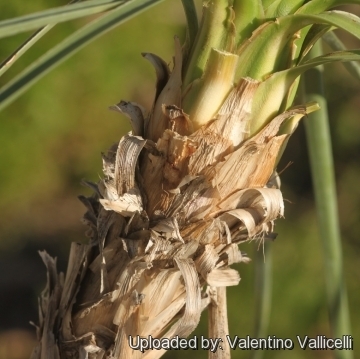 Beaucarnea gracilis Lem. : It is a small tree or large shrublike succulent species with many slender, curving vertical stems, that emerge from a large beautiful globose woody base. 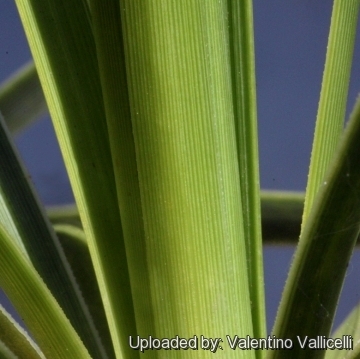 Beaucarnea gracilis f. variegata hort. : has leaves striped with various colours of white, cream, and several shades of yellow and green. Cultivation and Propagation: It is a very tolerant plant that can withstand temperatures of -5 Celsius degrees for short periods, but its exact hardiness is unknown. Because of its extreme drought tolerance, it makes a great container plant for light shade to full sun, or is an excellent foliage accent in a dry garden in warm regions. Might look its best in a vase shaped terra cotta pot to allow the leaves to drape downwards. It needs moderate water when actively growing, little water the rest of the time, if established. Outdoor it needs heavy soil with excellent drainage and circulating dry air. It is a tough plant. 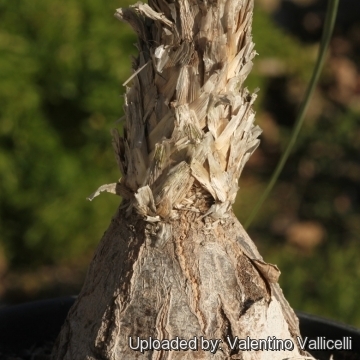 Having been bred to endure dry air and drought, it will survive for years in less than ideal conditions. 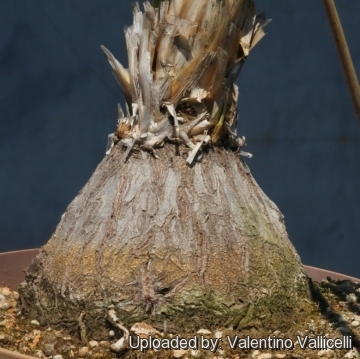 It can stay in the same pot for a number of years since it prefers to be a bit rootbound. Propagation: Seeds; stem cuttings. (it cannot be reproduced by leaves cuttings).